As blessed as Northern California assuredly is, Los Angeles must also sometimes be attended to. And so it was that on the first weekend of May Leon bundled me into the car for that most California of endeavors—the road trip. Intent on salving a horrific birthday number with the cheering sight of contemporary art paired with excellent food, we caroomed down the I-5 throughway at those speeds demanded by the sheer boredom of the scenery. 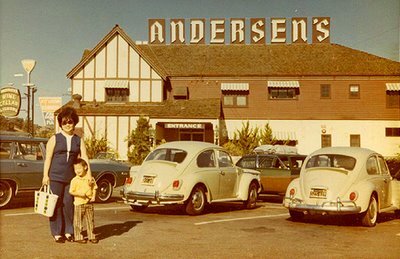 In our minds, I-5’s Pea Soup Andersen’s is always in sepia. Destined for a sweet Airbnb casita in Santa Monica, we were blessed with an opposing commute all the way west, streaming the 405 to the 110 without incident. That night’s meal was slated for Red Medicine, an innovative Vietnamese-inspired place on Wiltshire. The plan was to visit museums by day and restaurants by night. Perfect! No one goes to Truckee for the food. But a day of falling down raises up a hearty appetite. And after dropping sideways and forward and backward all over the bunny trails of Royal Gorge, Leon and I could have eaten one of the tiny pinecones we so often found near our teeth in the snow. We couldn’t face another meal at the B&B (see image below) and so set out to scout the culinary environs of nearby Truckee. The Interwebs had promised great things on Donner Pass Road, after all. 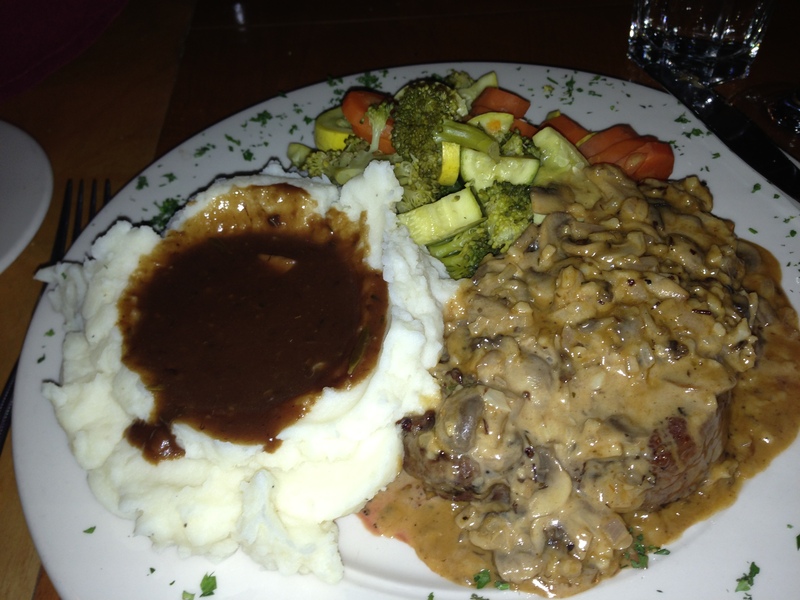 That’s a steak. On the right. That thing. A steak. Our options were dramatically narrowed as specialty candy—even fudge—makes for a poor evening meal. And then we saw it. It had all of the faux Depression-era marks of a great hipster joint: Raw leather, raw wood, Edison-style lighting, burnished steel, cement floors, the promise of drinks served in mason jars. That much we could see. What we couldn’t yet know was that the Restaurant Trokay was about to provide one of the most delicious and cerebral meals we ever have enjoyed. In Truckee!